My Morning Jacket, the best live band in the world, love Christmas music and they have a couple of original releases (EPs) available on iTunes. But they have also played a wonderful Christmas radio concert and they do not mind sharing live music as long as no payments are involved. “…were always cool with fans/friends sharing shows with eachother. So long as the person sharing is not bootlegging and trying to turn a profit. 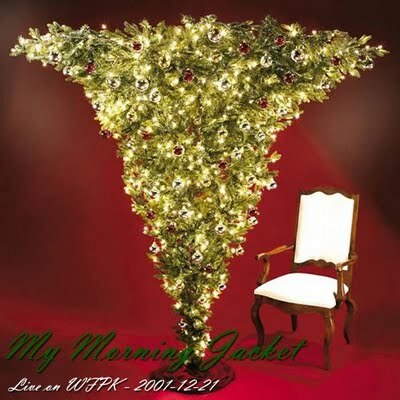 So today we’re posting their beautiful “My Morning Jacket Xmas Special” they did way back in 2001 for local Louisville radio station WFPK. You can also stream it at The Internet Archive, a great site for free music! Our fifth offering is from the nice people at Paste Magazine, and it’s a fine compilation they are giving us. In spirit of the Holidays and in support of the re-release of “Monsters In The Christmas Album”, here’s a music video starring a puppet for the original Christmas song “The Eyes, The Beard, The Nose, The Stomach, The Lungs” by unsigned Transylvanian singer-songwriter, Indie Folker. 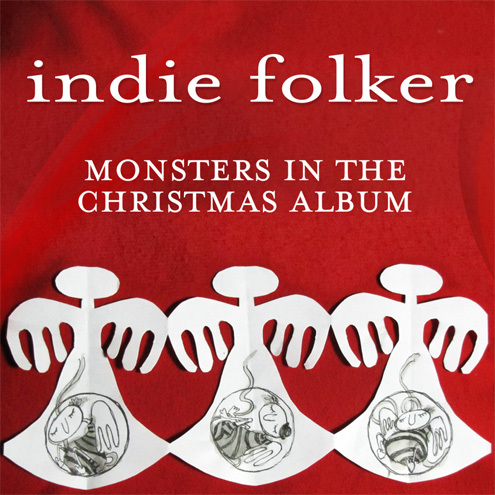 “The Eyes, The Beard, The Nose, The Stomach, The Lungs” is part of the “Monsters In The Christmas Album” by Indie Folker. A collection of original, genuine indie Christmas songs for the fans of alt-folk and indie! Today we’ve found a real treat for you! 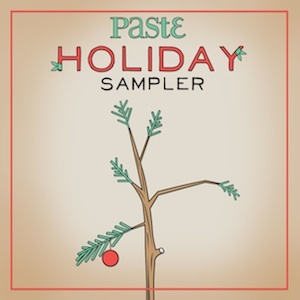 One of my favourite Christmas albums , now completely free via Noisetrade. 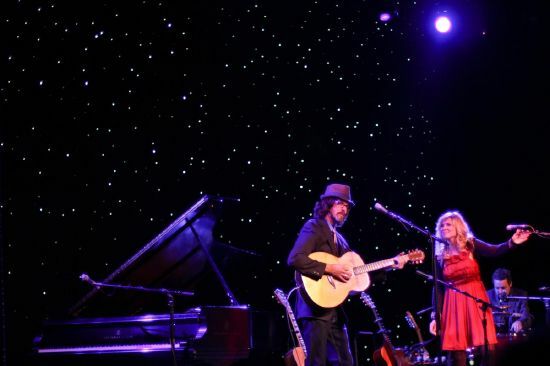 The southern Ohio-based husband-and-wife team of multi-instrumentalist/vocalist Linford Detweiler and vocalist/multi-instrumentalist Karin Bergquist, otherwise known as Over the Rhine, released this collection of wistful holiday music back in 2006. 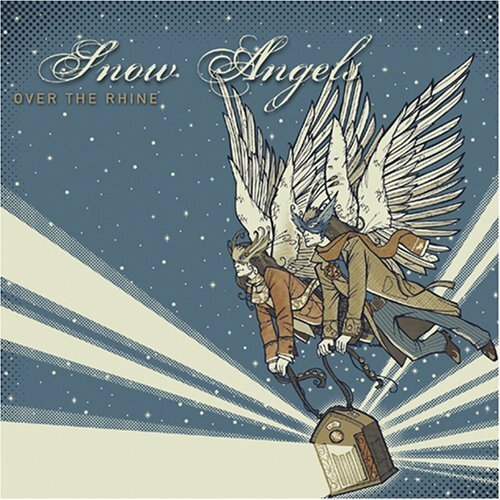 Snow Angels is the ninth studio album, and second Christmas album, by Over the Rhine, released independently in 2006. The album was released by Great Speckled Dog on October 2, 2007. Snow Angels was released ten years after the group’s first Christmas disc, 1996’s The Darkest Night of the Year. While Darkest Night was largely composed of interpretations of traditional Christmas songs, Snow Angels was almost entirely original material. 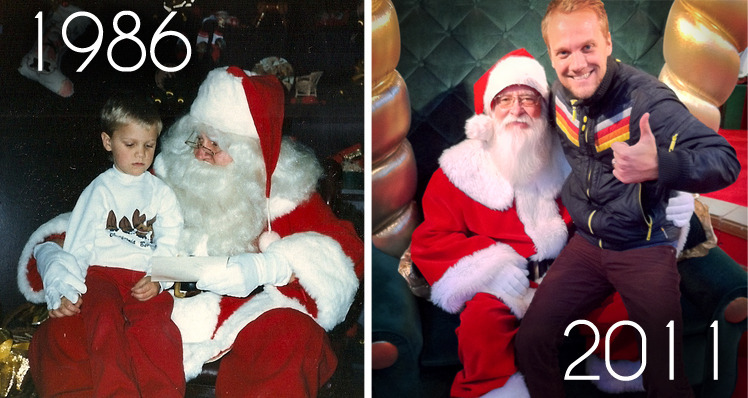 The only non-original track in the album is a lounge-inspired take on “Jingle Bells” that debuted during the 2004 Christmas tour. Andrew Ripp is a singer-songwriter from Palatine, Illinois. Ripp released his debut album, Fifty Miles to Chicago, in January 2008. Musicians Pete Maloney (Dishwalla, Tonic), keyboard player Will Hollis (Eagles), and steel guitar player Eric Heywood (Ray LaMontagne) were brought in to accompany Ripp’s vocals and guitar. In early 2008, Andrew was invited to attend the annual “Fool’s Banquet” songwriters gathering in Tulsa, Oklahoma. This event was hosted by the Hanson brothers. Also in attendance that year were Pat McGee, Keaton Simons, Jesse Laz-Hirsch, Kai Kennedy, Stephen Kellogg, Chris Sligh, and Jason Mraz. Operating independently of a label, Ripp tours regularly and has shared the stage with Robert Randolph and the Family Band, Fiction Family (Jon Foreman of Switchfoot and Sean Watkins of Nickel Creek) and Stephen Kellogg & the Sixers, among others. In the spring of 2009, Ripp and his band toured Europe and the Middle East to play for the U.S. troops stationed abroad in a tour sponsored by Armed Forces Entertainment. Andrew’s highly acclaimed second album, She Remains the Same was released in September 2010. The album was produced by Dave Barnes, with whom Andrew toured in the fall of 2010. 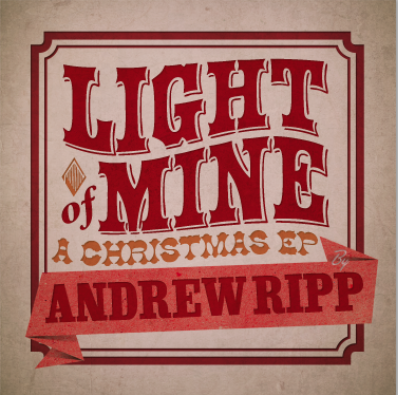 On November 22, 2011, Ripp released the Christmas EP Light of Mine.